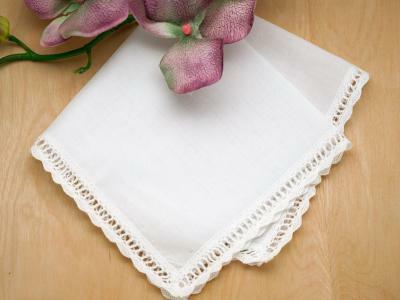 Surrounded by a white small scallop crochet lace design, this soft blue handkerchief would be perfect for the bride as her "something blue". 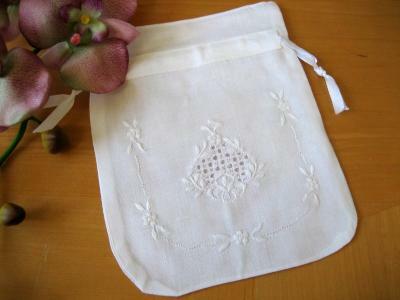 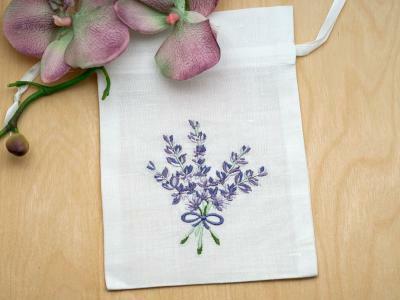 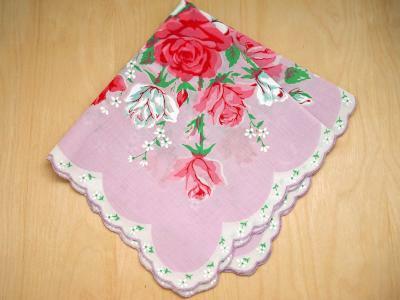 This ladies handkerchief is 100% cotton and measures approx 12" x 12" square. 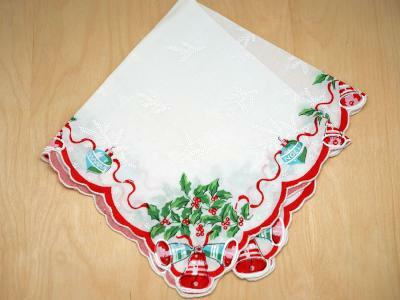 Also makes for a perfect gift! 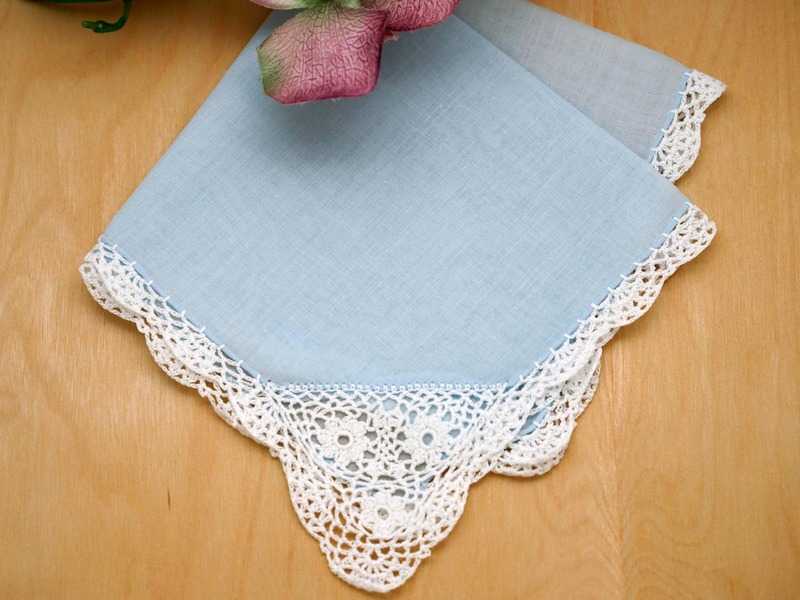 Blue Crochet Corner Lace Handkerchief Customers have rated this product	5 out of 5 based on 3 rating(s). 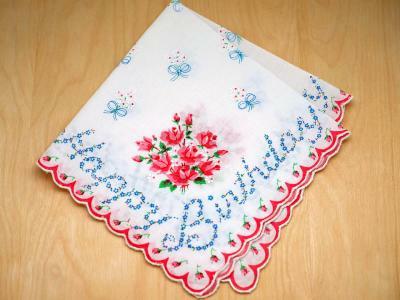 The handkerchief arrived on time and it was exactly what I was looking for.